John 17:23 says, “I in them, and thou in me, that they may be made perfect in one; and that the world may know that thou hast sent me, and hast loved them, as thou hast loved me.” I want you to notice particularly the expression “ . . .and hast loved them, as thou hast loved me.” There’s no truth so far-reaching as the blessed fact that our Father God cares for us. John 17:23 says God loves us even as He loves Jesus! In the Old Testament, God was Jehovah, Elohim, and El Shaddai to Israel. The children of Israel did not know Him as Father. They did not know Him as a Lover. Under the Old Covenant, He didn’t indwell men; He dwelled only in the Holy of Holies. He dealt with the lawbreakers and the disobedient in awful judgment. They were commanded to love and obey Him, or suffer the consequences. Into that harsh atmosphere of justice, Jesus came. He talked about God as His Father. He told of the Father’s love and of the Father’s care for His own—and the people could not understand Him. If He had come with a message like John the Baptist’s, commanding people to repent and calling them bitter names, then they would have understood Jesus’ message. But when He introduced a loving Father God, His words fell upon unresponsive ears. I want to share a few scriptures in which Jesus talks about God as a loving Father. 23 And in that day ye shall ask me nothing. Verily, verily, I say unto you, Whatsoever ye shall ask the FATHER in my name, he will give it you. . . .
27 For the FATHER himself loveth you, because ye have loved me, and have believed that I came out from God. 8 Be not ye therefore like unto them: for your FATHER knoweth what things ye have need of, before ye ask him [notice that even though God knows what we need, He still told us to ask Him]. 9 (And so He said then) After this manner therefore pray ye: Our FATHER which art in heaven . . . .
26 Behold the fowls of the air: for they sow not, neither do they reap, nor gather into barns; yet your heavenly FATHER feedeth them. Are ye not much better than they? The way Jesus referred to God as Father was utterly new. The Jewish people had a hard time grasping it. To tell the truth, it’s a new concept to many church members today. Most people have been taught to fear and to shrink from a God of justice. We’ve never seen the love side of God the way we ought to have seen it. Jesus came to show us that side of God. “For God so loved the world, that he gave his only begotten Son . . .” (John 3:16). Almost everyone knows what John 3:16 says, but do you know what the next verse says? It says, “For God sent not his Son into the world to condemn the world; but that the world through him might be saved.” Thank God, He did love us, didn’t He? And He does love us right now. 30 Wherefore, if God so clothe the grass of the field, which to day is, and to morrow is cast into the oven, shall he not much more clothe you, O ye of little faith? 31 Therefore take no thought, saying, What shall we eat? or, What shall we drink? or, Wherewithal shall we be clothed? 32 (For after all these things do the Gentiles seek:) for your heavenly Father knoweth that ye have need of all these things. 33 But seek ye first the kingdom of God, and his righteousness, and all these things shall be added unto you. Notice Jesus didn’t say that all these material things would be taken away from you. He said they would be added unto you. That proves that the Father cares for His own. Your Heavenly Father knows what you need. So have no worry, fret, or anxiety. 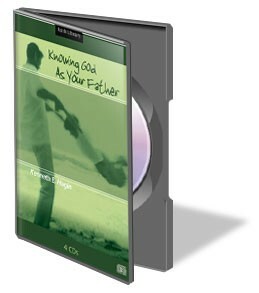 If God is your Father, you may be assured that He will take a father’s place and will perform a father’s part. You may be certain that if He is your Father, He loves you and will care for you. In John 14, Jesus tells us what it means to love God and to be loved by Him. 21 He that hath my commandments, and keepeth them, he it is that loveth me: and he that loveth me SHALL BE LOVED OF MY FATHER, and I will love him, and will manifest myself to him. 22 Judas saith unto him, not Iscariot, Lord, how is it that thou wilt manifest thyself unto us, and not unto the world? 23 Jesus answered and said unto him, If a man love me, he will keep my words: and MY FATHER WILL LOVE HIM, and we will come unto him, and make our abode with him. In this passage, we have the revelation of the Father’s attitude toward His children. There are two things in particular that are emphasized in these scriptures. Number one, Jesus said, “He that has My commandments and keeps them . . .” (v. 21). What are Jesus’ commands? That we “love the Lord our God with all our heart, soul, mind, and strength and love our neighbor as ourselves” (Mark 12:30–31). Jesus said, “A new commandment I give unto you, That ye love one another; as I have loved you, that ye also love one another” (John 13:34). There’s no use for you to worry about any other commandment. Walking in love sums up the whole business because the Word of God says that love is the fulfilling of the law (Rom 13:10). If you keep Jesus’ command to love, you will have fulfilled the rest of the commandments. Number two, Jesus said, “He that has My commandments and keeps them is the one who loves Me and the one who shall be loved by My Father” (v. 21). If you walk in love, you walk in God’s realm, for God is love (1 John 4:7). The great Father God is a love God. And if you walk in love, you walk in His realm. His very nature, because He is love, compels Him to care for you and protect you. Even natural love cares for and protects. How much greater is divine love than natural love! Jesus said, “If ye then, being evil [or natural], know how to give good gifts unto your children, HOW MUCH MORE shall your Father which is in heaven give good things to them that ask him?” (Matt. 7:11). A thrill goes through my spirit when I get to that “how much more” part! How many parents want their children to go through life poverty-stricken, nose to the grindstone, sick, afflicted, downtrodden, downcast, down-and-out? Not a single one! Many parents will sacrifice and work their fingers to the bone to help their children gain a better life than they had. Parents also want to shield and protect their children from hard times. Natural love does that. And if we, being natural, love that way, how much more does our Father God love and care for us! In John 15:1, Jesus says, “I am the true vine, and my Father is the husbandman.” The Greek word translated “husbandman” also implies caretaker, protector, shield, trainer, and educator. Our Father God is the Caretaker. He is the Protector and Shield. He is the Trainer and Educator. As the husbandman trained the branches of the vine, so our Heavenly Father trains the branches of the Body of Christ. Now then, since God loves me as He loves Jesus, I’m not afraid to face life’s problems, because He is with me as He was with Jesus! 32 Behold, the hour cometh, yea, is now come, that ye shall be scattered, every man to his own, and shall leave me alone: and yet I AM NOT ALONE, BECAUSE THE FATHER IS WITH ME. Since the Father God loves us as He loved Jesus, then He is with us as He was with Jesus. Thank God, we’re not alone! Nothing can be more comforting than the fact that the Father Himself knows you and loves you. When you study these statements that Jesus made relative to the Father, many scriptures in the Word take on new light. Many verses in the Bible become more real to us when we examine them in light of what Jesus said about the Father. Let’s look at just a few such verses. 7 Casting all your care upon him; for he careth for you. This is the Father’s message to us. He wants us to end worry, fear, and doubt. You might say, “Can I do it?” Sure you can. You do it by casting all your care upon Father God. He wants you to abandon yourself to His love and to His care. So He said to cast “ . . .the whole of your care [all your anxieties, all your worries, all your concerns, once and for all] on Him, for He cares for you affectionately and cares about you watchfully” (1 Peter 5:7 Amplified). Philippians 4:6 almost becomes a new message to me when I read it as being from the very heart of the Father that Jesus came to introduce. “Be careful for nothing; but in every thing by prayer and supplication with thanksgiving let your requests be made known unto God.” The Amplified Bible says, “Do not fret or have any anxiety about anything, but in every circumstance and in everything, by prayer and petition (definite requests), with thanksgiving, continue to make your wants known to God.” This is a message from the very heart of my Father God. God is sending you a message from His heart of love. He’s telling you that you can do anything. You can rise to the place where you are unafraid in the most unpleasant circumstances because you know that your Father is on your side. The Father’s love compels Him to care for you. When you know His love and learn to swing free in that love then all doubts and fears will be destroyed. When you remember that your Heavenly Father loves you even as He loved Jesus, then you can understand why you need not be afraid—even as Jesus was not afraid. Psalm 27:1 says, “The Lord is my light and my salvation; whom shall I fear? the Lord is the strength of my life; of whom shall I be afraid?” God is your Light. He is your Salvation and Deliverance. He is the Strength of your life. There’s nothing to fear! Praise God! What can anyone do to the one whom God loves and protects? Hebrews 13:5 says that God will never leave us or forsake us. “So that we may boldly say, The Lord is my helper, and I will not fear what man shall do unto me” (Heb. 13:6). I’m glad the Lord is my Helper. Is He your Helper? He wants to be your Helper today. He also wants to meet all your needs. Philippians 4:19 says, “But my God shall supply all your need according to his riches in glory by Christ Jesus.” This is not religious jargon or mere preaching. This is a living truth from the heart of our wonderful Father. Now when you read the Word, read it in light of God as your Father—the same kind of Father to you as He is to Jesus. The Word will come alive and so will your heart, as you realize and come to know experientially the great love your Father has for you. I am so grateful for my Heavenly Father. His love for me is perfect. He may be Judge to the world. He may be God to the sinner. But to me—He is Father! Get More on This Topic! In this series from Rev. Kenneth E. Hagin, you will learn how to get to know your Heavenly Father better and experience more peace and joy than ever before!